Learn a range of traditional jewellery making techniques in this one day workshop at Studio Budgie Galore making an individual silver charm bracelet or bangle. 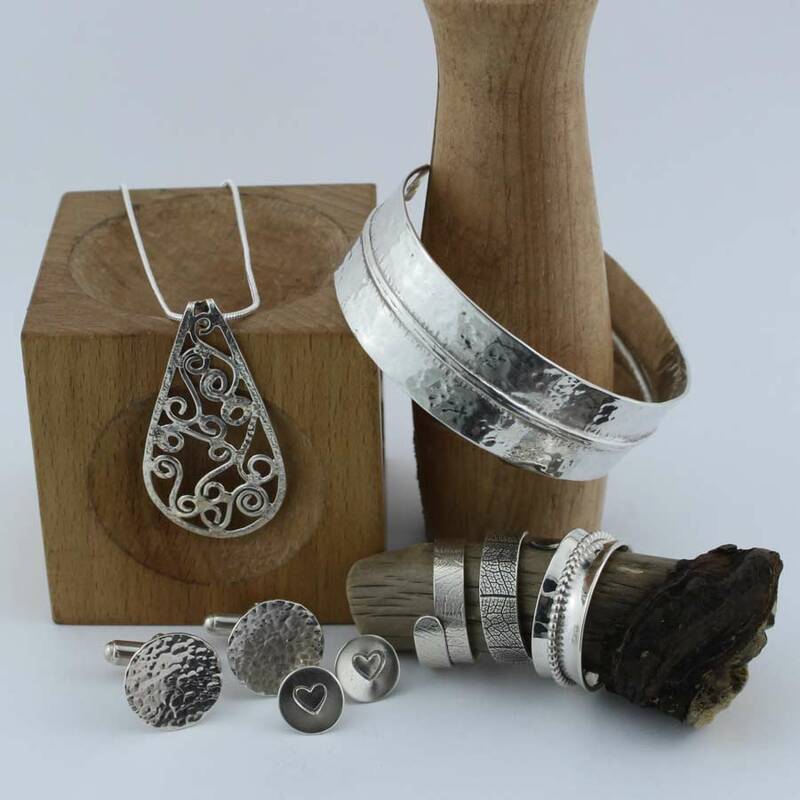 This class is a great chance to see if you enjoy making jewellery and continue on an 8 week course afterwards. 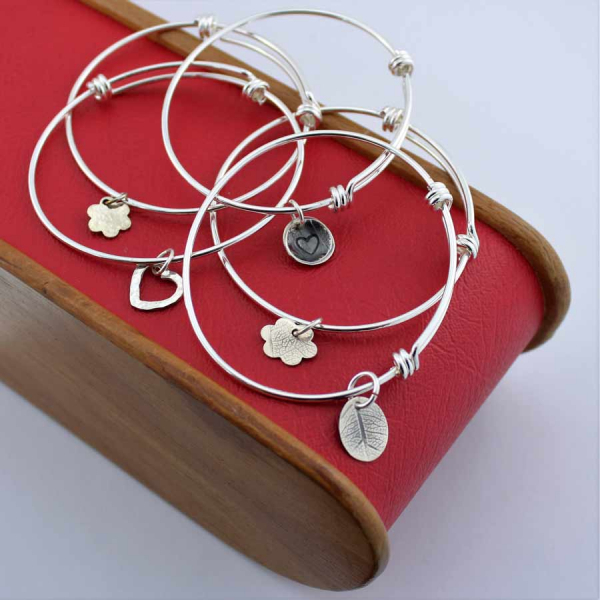 A silver round or oval soldered bangle with a decorative, hammered, stamped or embossed silver charm. 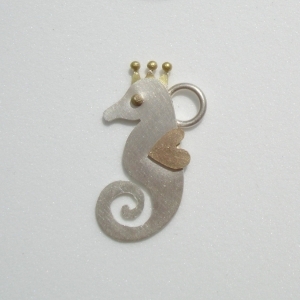 4 individual decorative hammered, stamped or embossed silver charms to attach to a pre-made silver bracelet. 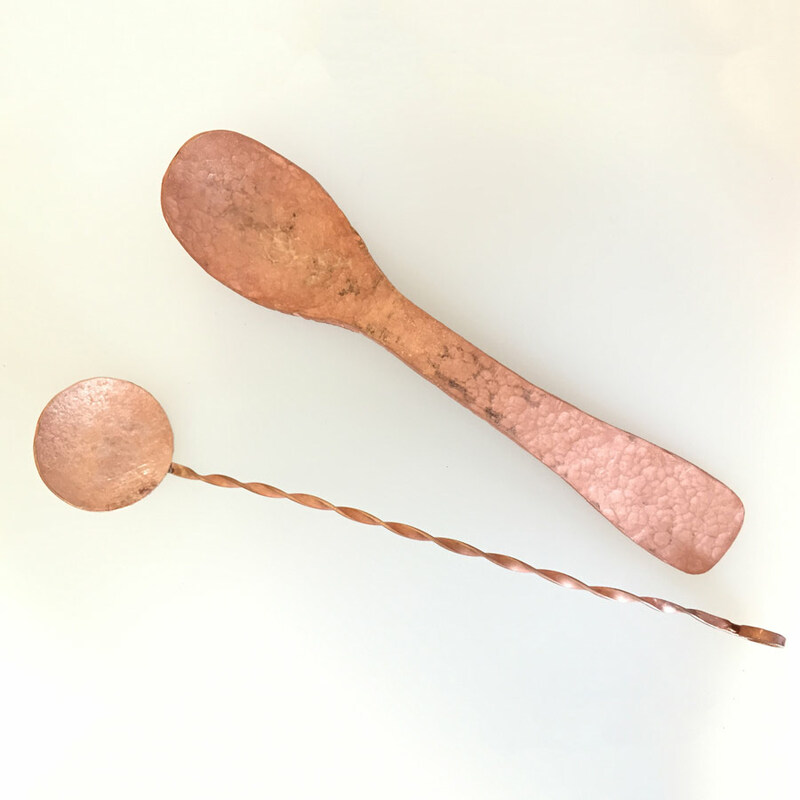 You will learn how to size and make a silver bangle and create decorative dangling charms after making several test pieces in copper that explore how to work with metal. 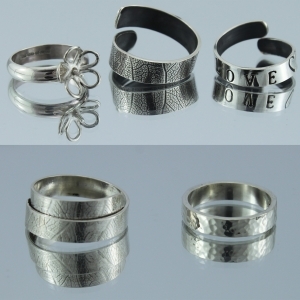 All materials are included in the cost of this workshop including silver to make either bangle (a) or bracelet (b) – additional silver also can be purchased on the day. Tea, coffee and cake are also included. The workshop is fun and informative and no previous experience is needed. Small class sizes ensure individual tuition from your qualified experienced tutor. Book a place on this workshop and learn some new skills and take home a lovely silver handmade bangle or bracelet to show off to your friends.